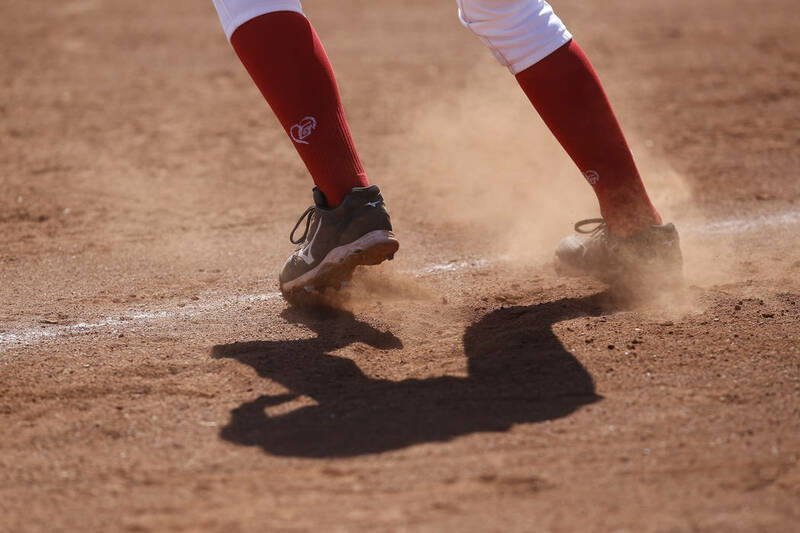 Jaden Delchambre singled home the eventual winning run to cap a six-run sixth inning that lifted Foothill’s softball team to a 9-8 win at Liberty on Tuesday. Delchambre finished with three hits, and winning pitcher Leah Becker doubled twice for the Falcons. Morgan Matsumoto, Ashlyn Cowdell, and Layla Que each supplied two hits and an RBI for Foothill. Heather Scott went 2-for-3 with a double, triple and two RBIs, and Jenna Thomason doubled and drove in two runs for Liberty. Jessica Meza tripled and had an RBI and McKenzie LaNeve went 2-for-4 with a double for the Patriots. Chaparral 12, Western 7 — At Chaparral, A.J. Andrade went 2-for-3 with a double and two RBIs as the Cowboys topped the Warriors. Alexis Cho doubled and drove in two runs, and Natalie Arredondo supplied a double and an RBI for Western. Boulder City 10, Sunrise Mountain 4 — At Boulder City, Ryann Reese was 4-for-5 with two runs and an RBI to help the Eagles top the Miners. Lily Hood went 3-for-4 with two runs, and Marleena Mills was 2-for-4 with a double and an RBI for Boulder City. Shadow Ridge 11, Green Valley 1 — At Shadow Ridge, Shea Clements went 3-for-4 with a home run, a triple, a double, three runs and five RBIs as the Mustangs topped the Gators in five innings. Winning pitcher Jasmine Martin was 3-for-3 with a double and two RBIs, and Caitlin Covington was 2-for-3 with a triple, a double and two RBIs for Shadow Ridge. Taylor Hendricks was 2-for-3 with two runs for the Mustangs. Ava Mearideth was 1-for-1 and scored a run for Green Valley. Bishop Gorman 12, Durango 0 — At Gorman, Sarah Aguilar tossed a five-inning no-hitter with one walk and 10 strikeouts as the Gaels blanked the Trailblazers. Mia Weckel went 4-for-4 with a double and an RBI, and Hayley Coreas was 2-for-3 with a home run, a double and five RBIs for Gorman. Katelyn Hunter hit a game-ending grand slam in the bottom of the fifth and was 2-for-4 for the Gaels. Basic 11, Tech 0 — At Basic, Mikayla Berg went 3-for-3 with a home run and two RBIs to lead the Wolves to a five-inning win over the Roadrunners. Lauren Koshak was 2-for-3 with a double and two RBIs, and Jordyn Ebert and Madisen Berg each went 2-for-3 with an RBI for Basic. Shelby Basso tossed a no-hitter and struck out nine. Coronado 15, Silverado 0 — At Coronado, Paige Sinicki went 3-for-3 with a triple, four runs and three RBIs to help the Cougars to a four-inning rout of the Skyhawks. Ashley Ward tossed a three-hitter with nine strikeouts and went 2-for-2 with a triple, a double and an RBI for Coronado. Isabel Rodriguez was 2-for-2 with two RBIs, and Tori Jones went 1-for-3 with a home run and two RBIs for the Cougars. Megan Johnson was 2-for-2 for Silverado. Sierra Vista 17, Spring Valley 2 — At Spring Valley, winning pitcher Tyerra Kaaialii went 3-for-3 with three triples and four RBIs as the Mountain Lions routed the Grizzlies in three innings. Jessica Schneider was 3-for-3 with a triple and four RBIs, and Ryan Watkins went 2-for-3 with a home run and three RBIs for Sierra Vista. Hola Rose Nakayama was 2-for-3 with two RBIs, and Taylore Edwards was 2-for-3 with an RBI for the Mountain Lions. Daniela Mejia was 1-for-2 with a double and two RBIs for Spring Valley. Bonanza 19, Clark 1 — At Bonanza, Carla LaRosa was 2-for-4 with a grand slam and five RBIs to power the Bengals past the Chargers in three innings. Evalynn Sandoval and Sara Riley each supplied a double and an RBI, and Brooke Detommaso added a double for Bonanza. Holli Jackson tossed a one-hitter for the Bengals. Moapa Valley 17, Virgin Valley 0 — At Mesquite, Lainey Cornwall was 3-for-4 with a triple, a double, two runs and four RBIs to help the Pirates rout the Bulldogs in five innings. Kaitlyn Anderson was 2-for-5 with two doubles and three RBIs, and Sierra Bunker went 2-for-5 with two doubles and two RBIs for Moapa Valley. Emilie Barraza tossed a one-hitter and struck out eight for the Pirates. The Meadows 18, Indian Springs 3 — At The Meadows, Hallie Monkarsh went 2-for-3 with a double and three RBIs, and Sheen Kim and Grace Nemec each went 2-for-2 with two RBIs as the Mustangs routed the Thundbirds in three innings. Jenna Ortiz was 2-for-2 with an RBI for The Meadows. Faith Prine was 2-for-2 with an RBI for Indian Springs.